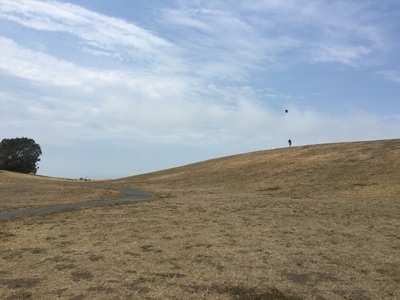 Hours: 6 A.M. to 10 P.M.
Best time to visit: Anytime; this area usually has a nice breeze and stays cool. 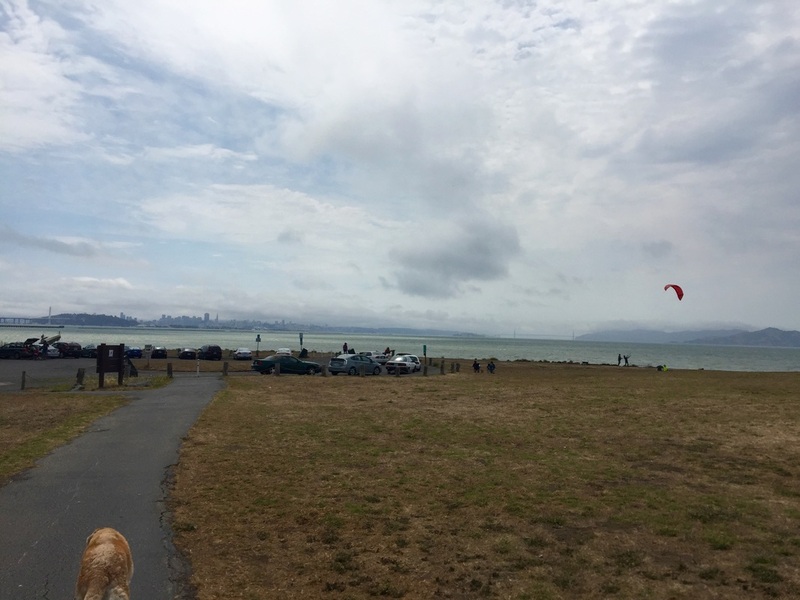 The annual Berkeley Kite Festival usually occurs in late July, at which time this park gets very crowded. 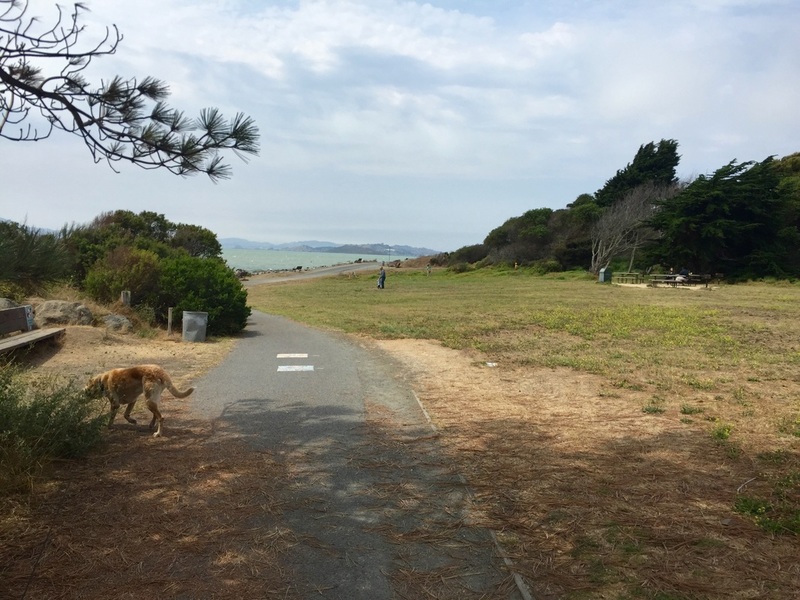 Description: An easy walk around the loop yields beautiful views of Angel Island, San Francisco, and the Berkeley hills. 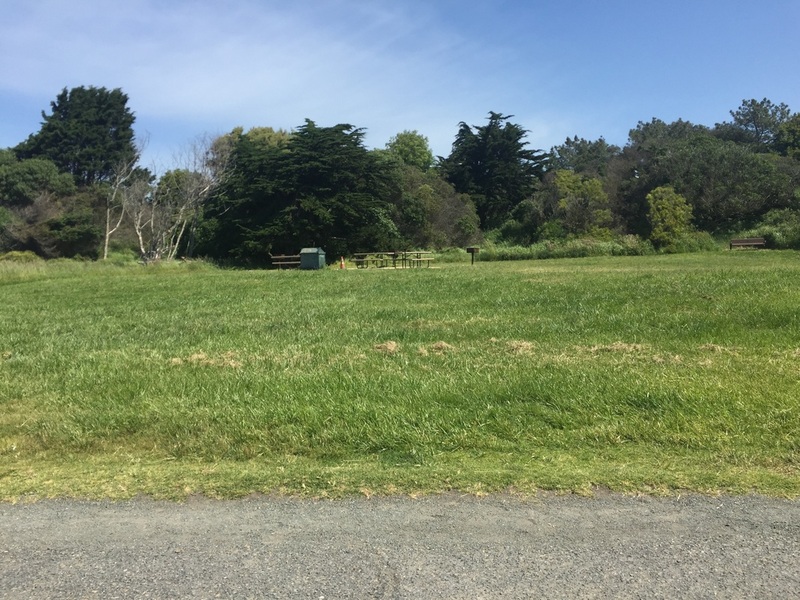 There are plenty of grassy areas, benches and picnic tables where you can take a break. 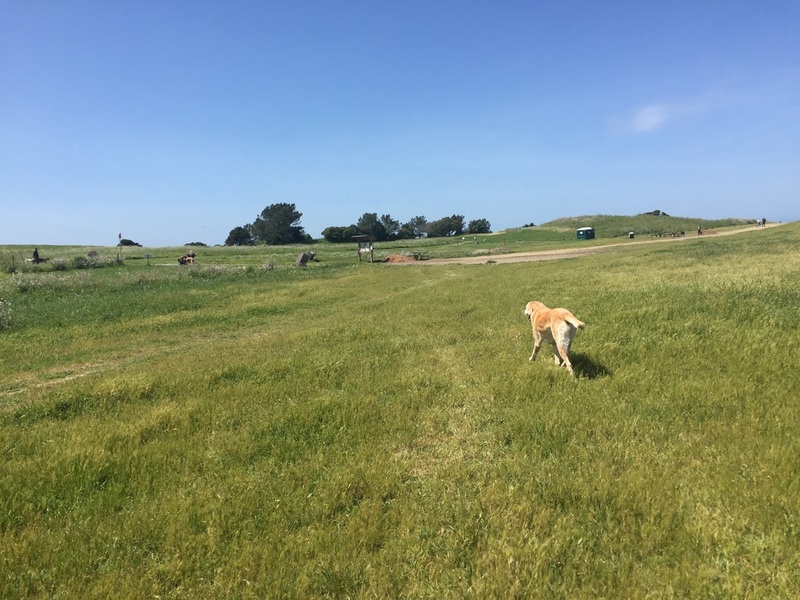 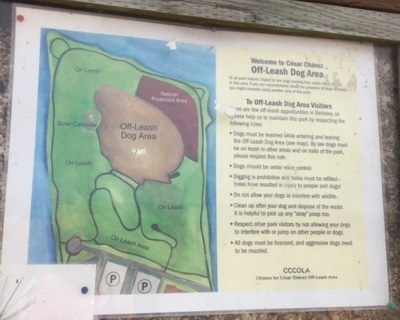 If you head up a short hill and into the center of the park, there is a large off-leash area for dogs. 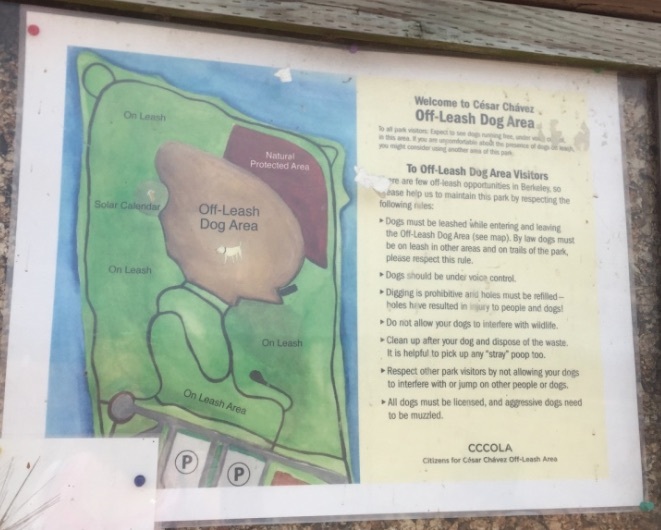 The area is clearly labeled at all entrances and exits with yellow "not entering off leash area" and red "exiting off-leash area" signs. 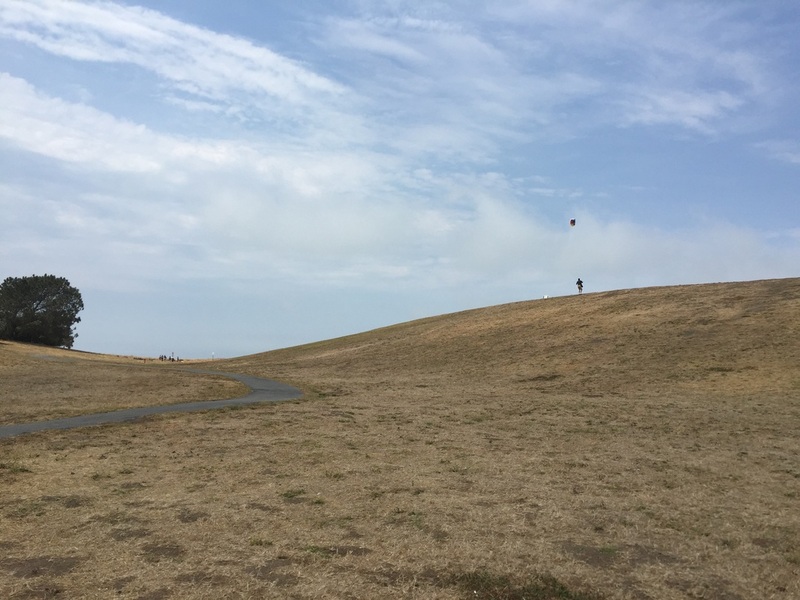 This park is popular with kite fliers, and a great place to spot some unique kites. The annual Berkeley Kite Festival is hosted here in late July. The center of the park has a Porta-Potty and a water fountain. 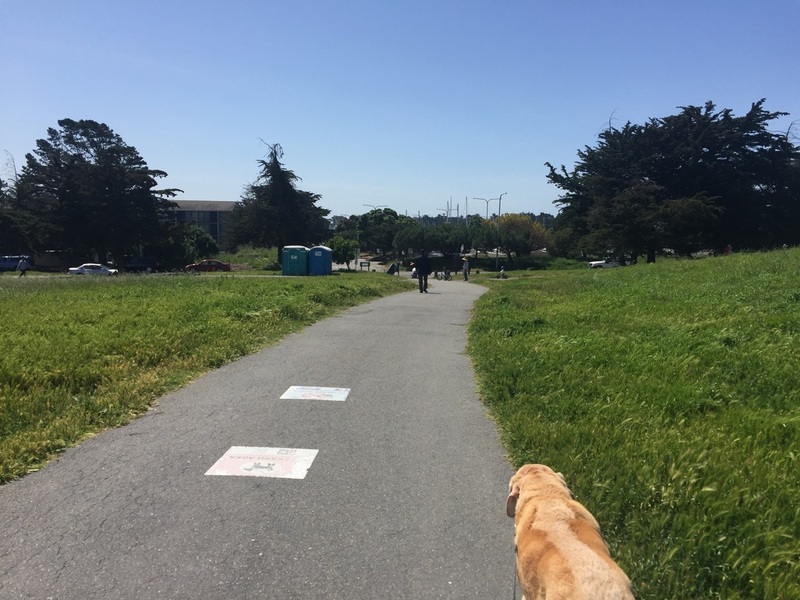 There is also another Porta-Potty towards the main entrance. 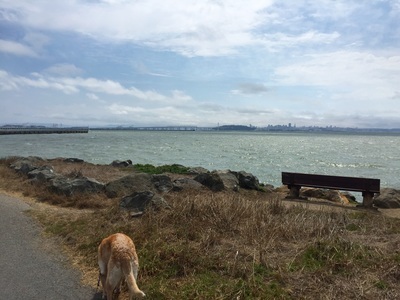 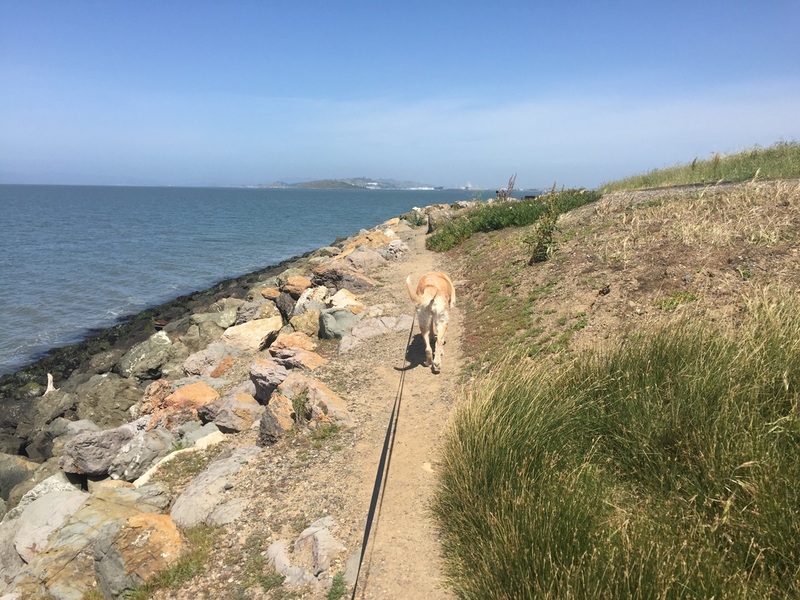 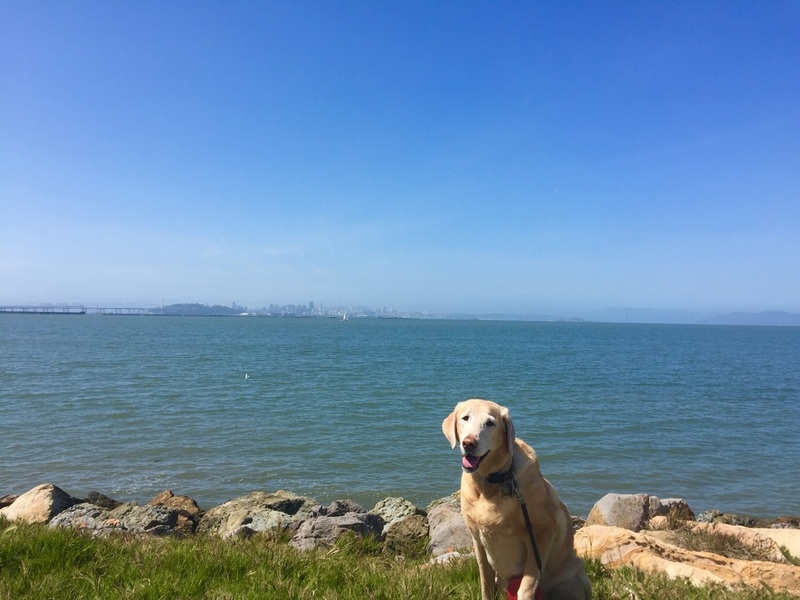 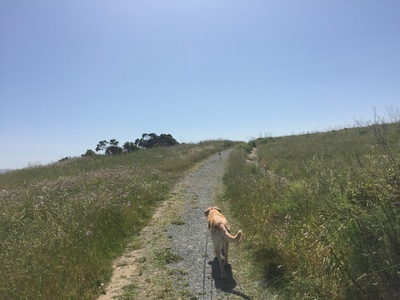 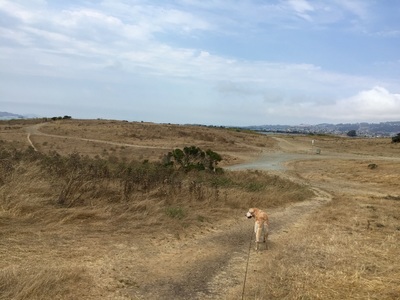 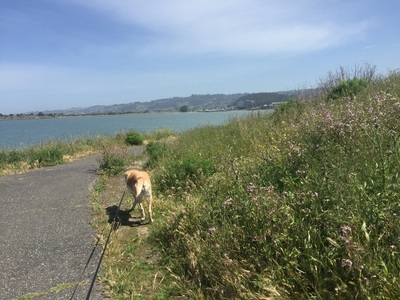 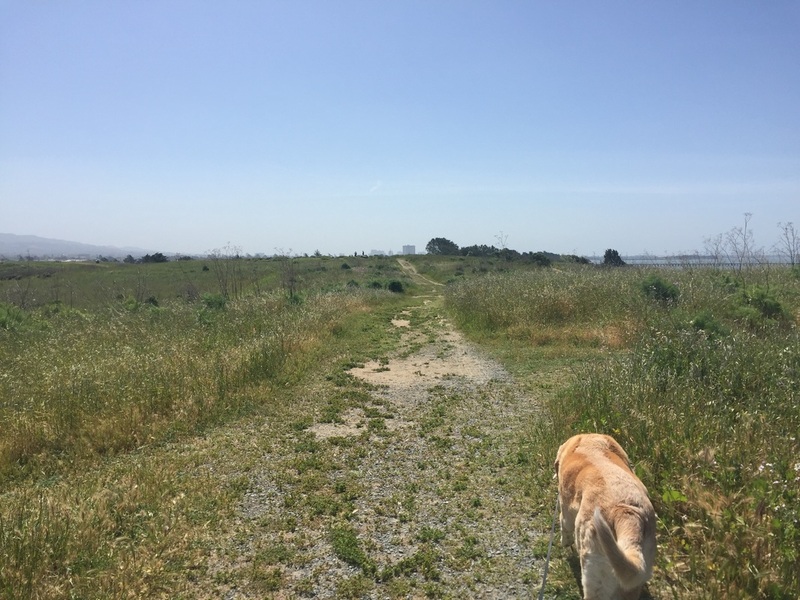 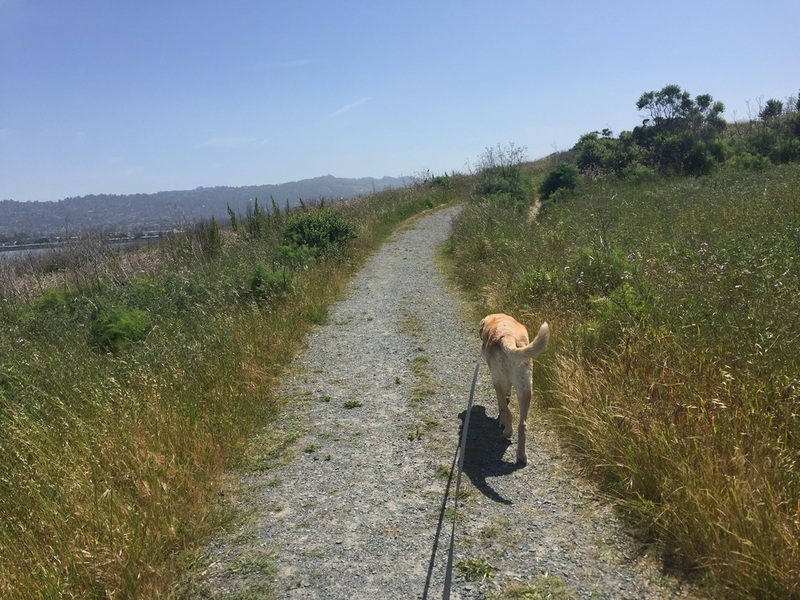 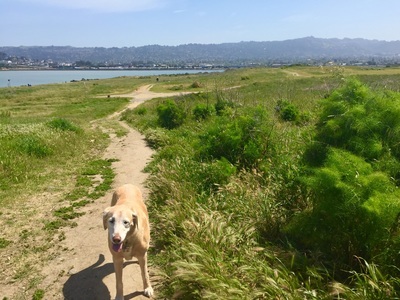 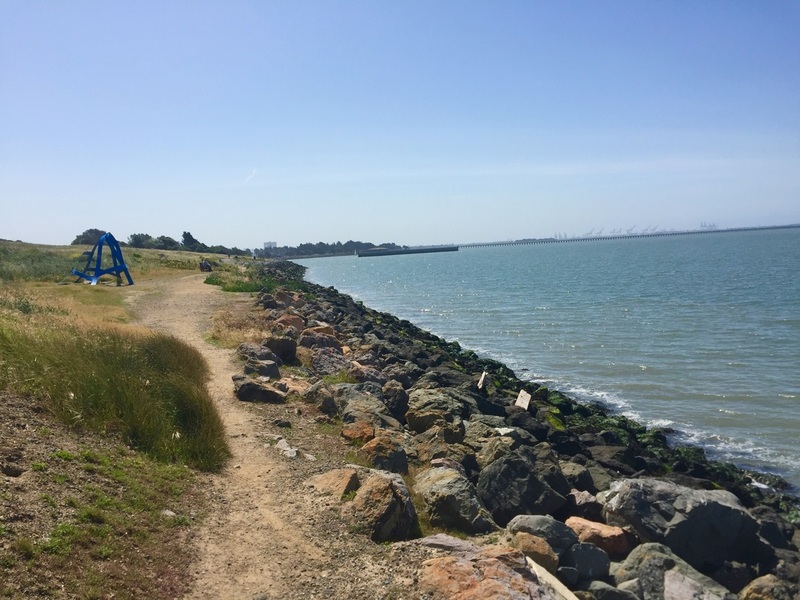 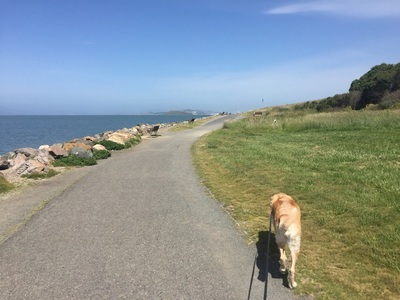 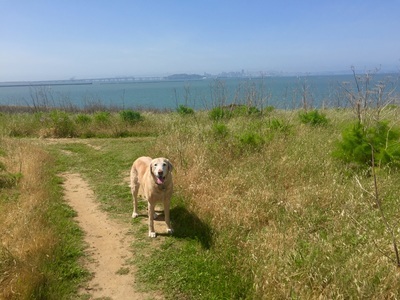 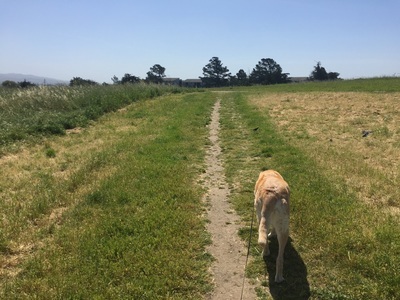 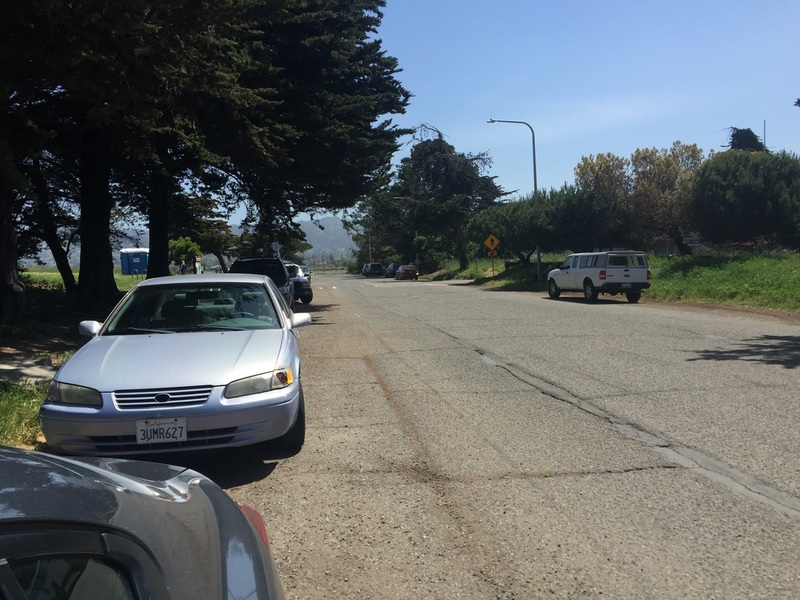 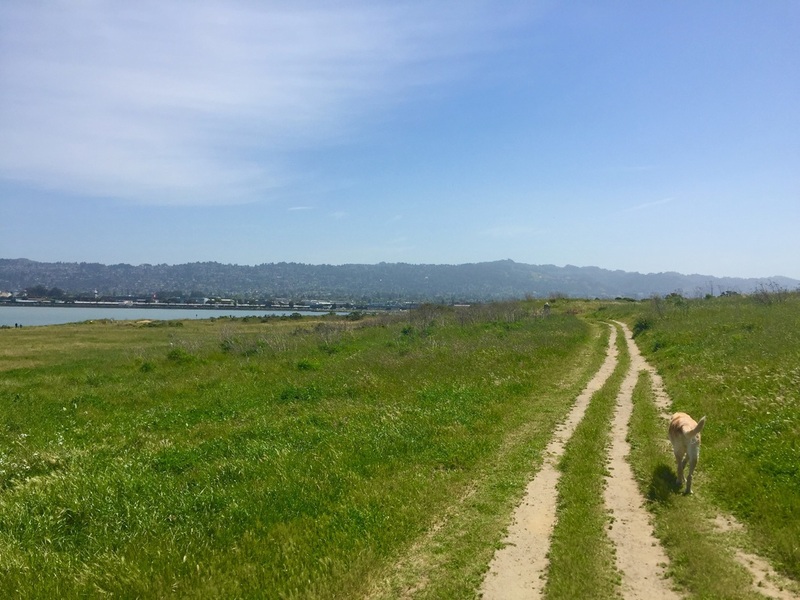 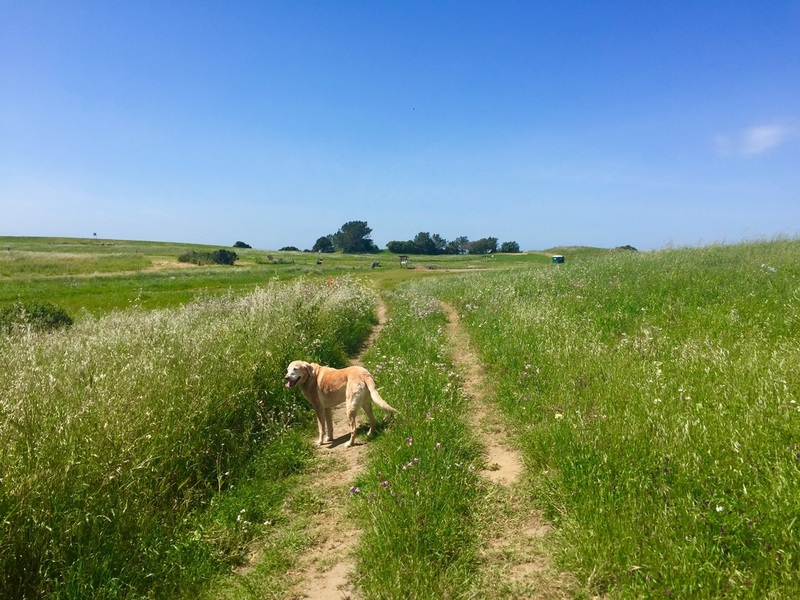 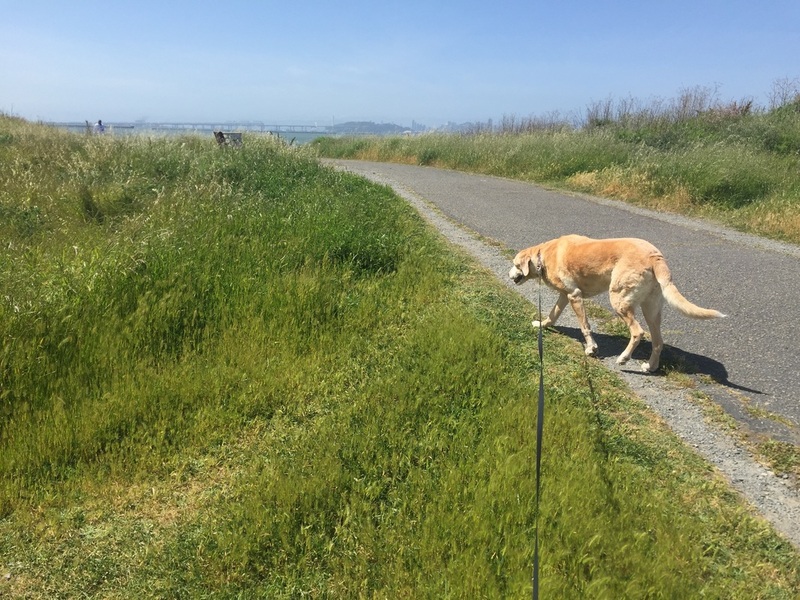 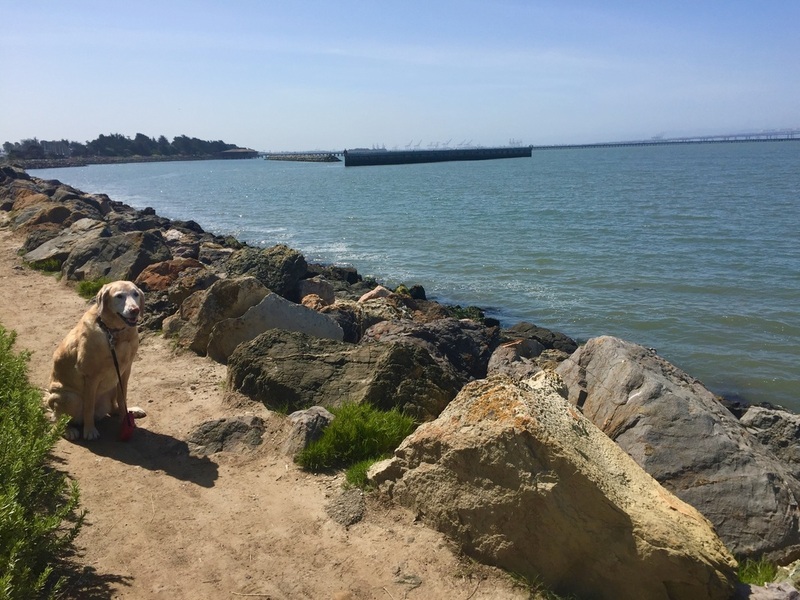 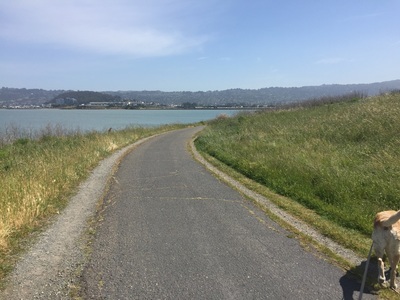 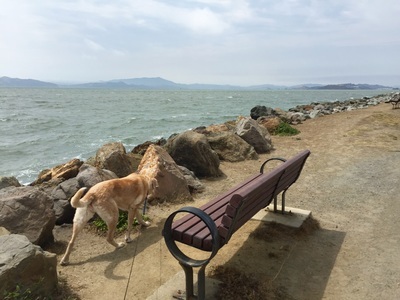 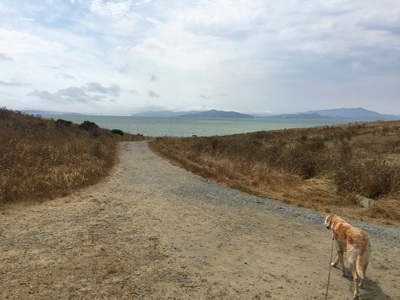 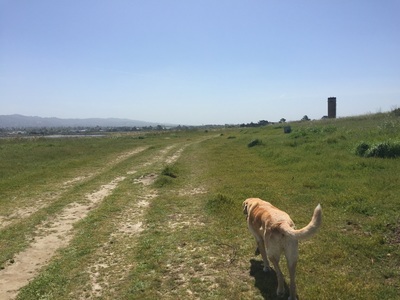 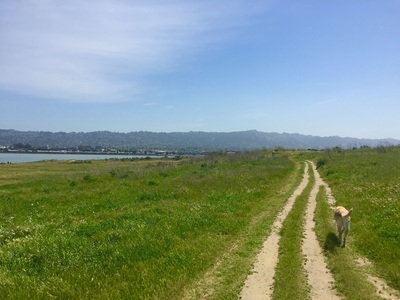 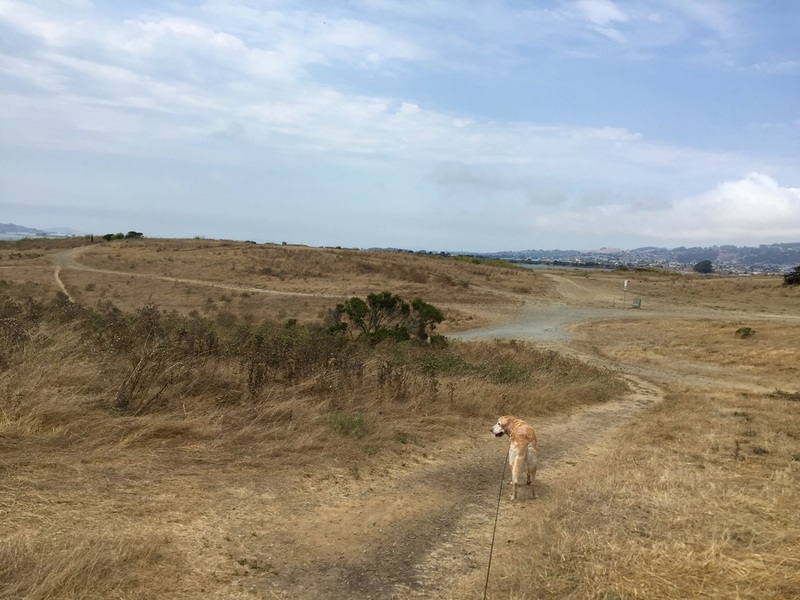 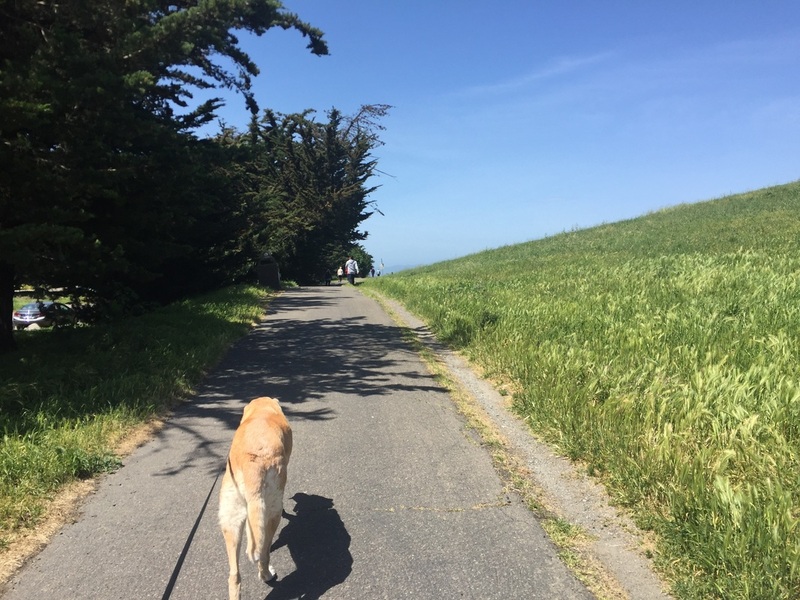 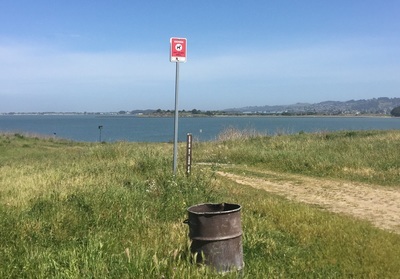 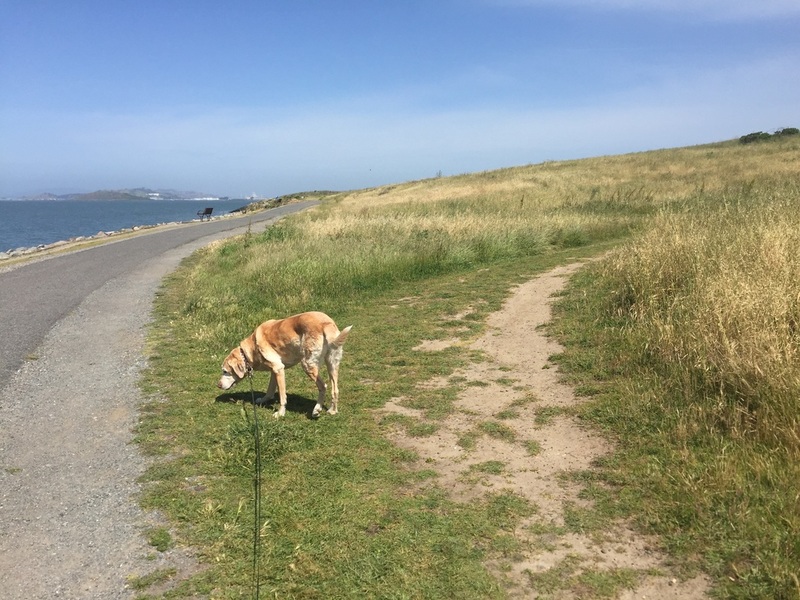 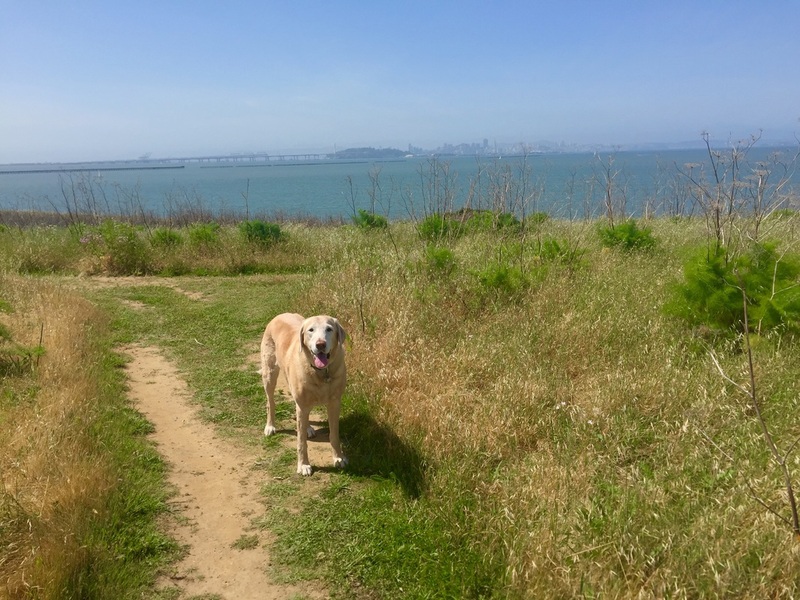 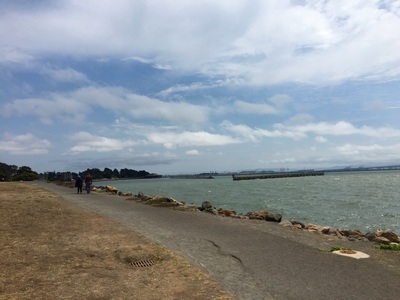 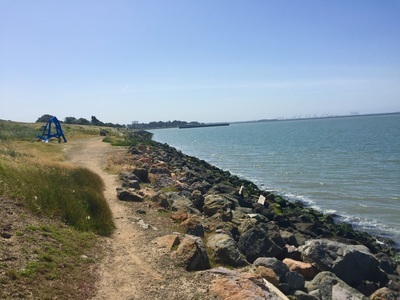 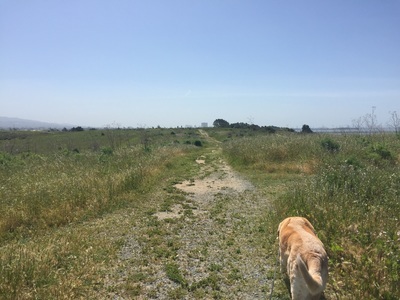 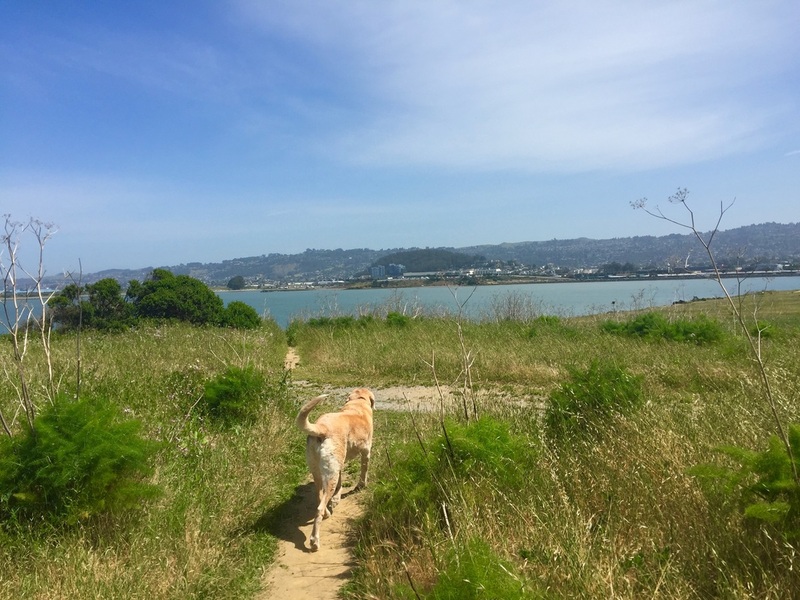 If you would like to extend your walk, you can connect to peaceful trails surrounding the Yacht Club and Berkeley Marina. 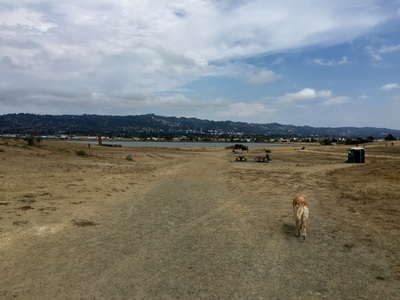 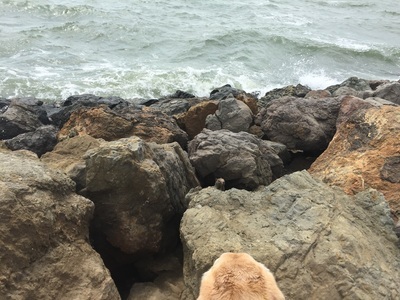 Unfortunately the nearby McLaughlin Park is not dog-friendly, but you can take the trail towards the freeway and walk along the water for miles. This route will take you to the dog-friendly Sea Breeze Market, where you can get snacks and rest at one of their outdoor picnic tables. If you keep walking, you'll find a small dog-friendly beach right before the entrance to highway 13. This park has picnic tables, BBQs, Porta-Potties and running water.